The RX died and the plane got packed away as a "someday" project/repair. Well, that day's come as anything that I currently have is way too big or fast for the half-gym htat EMFSO provides on Friday evenings. Sorry, my quadcopter bit the biscuit last night so I'm out of options. Also, I want to fly a slower plane and the newer planes are all speed demons. According to the Flyzone website, parts are still available and HCAL7600 Hobbico 3-Channel 2.4GHz Tx Playmate Micro RTF EP is the recommended replacement (available through Tower Hobbies at about $40US++. 1) Has anyone had any experience shoe-horning this into the Playmate that they'd like to share? 2) Any alternatives available on the "other" (read Hobby King) website? Here is a micro indoor model aircraft that you may wish to consider. The links for two sources follow. Please note... parts availability is a problem and you may need to adapt parts from an junk Ember 2 for repairs. 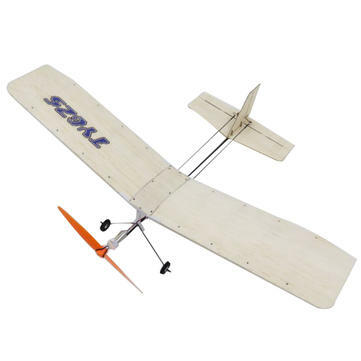 Here is another small indoor model airplane to consider. It's from Banggood and some parts are available. See you at Micro Indoor on Friday. Thinking of getting another Playmate or Moonwalker style of model. Have a PT17 but I find that it goes too fast for me to build up my skills and get over my being nervous. Last flight had me whack into the bench on the far side of the upper gym before I realized that I was that close to it. Going plane shopping tomorrow in Barrie, maybe in Aurora. Today was an event at my daughter/grand-daughter's house (fashion, so I got permission to troop on over to Ideal Hobbies for the afternoon (or at least two hours). "I can easily spend two hours in a hobby shop!" was my cheerful response. I very carefully examined the kits on the walls, then focussed on the helicopters and quads in what was an obvious set of micro-flyers, but no fixed-wing aircraft. I asked the staff and was pointed to a small pile at the front door. A couple kits caught my eye but were Not in the slow flight spectrum that I was looking for. I then went to the back of the shop and up the steps to the swap shop area to see if there was anything interesting up there. And interesting it was -- a Champ RTF package that looked pretty good and at a fairly good price. back downstairs to the sales desk, and I asked if I could look at the Champ in the Swap Shop. Back we went and the kit was put down on the counter and we looked into it. It was pretty obvious that this was very close to being an unflown airplane. Everything appeared to be there. Back downstairs once again, and I checked the price of the one Champ RTF by the front door and it was only $20 more than the one in the Swap section. I decided to take the Swap section one. While checking out, I asked about 1S chargers, and found the one that Simon had been demonstrating at the Winter Workshop some months ago. It got added to my pile of loot. One feature that was pointed out to me was that it was AC/DC, When I got it home, I checked it out 11-15 volts, which makes it usable with 3S and 4S packs. An option when I need to field charge and don't want to hike down to far walls as I had arrived last. This week will be charging all of the transmitters so I have them ready to go, and using the new charger to charge the batteries. Friday will be test flying.